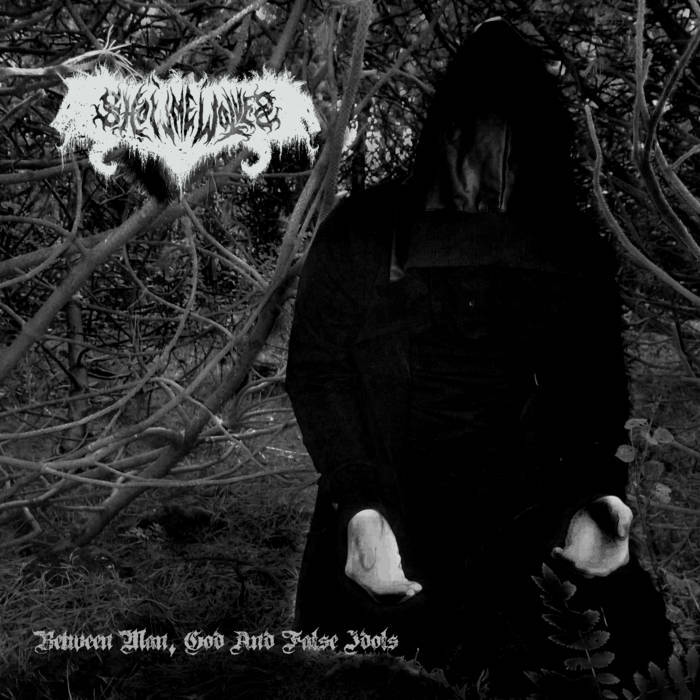 Show Me Wolves are a solo project from Iceland that plays a progressive mixture of black, death metal and metalcore and this is a review of his self released 2015 album "Between Man, God And False Idols". Dark and melodic guitar riffs start off the album along with some spoken word samples a few seconds later which also leads up to a heavier musical direction that also incorporates solos and leads that use a great amount of melody and all of the musical instruments have a very powerful sound to them. 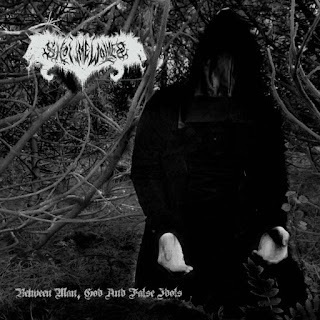 Most of the music is very progressive and when vocals are added into the music they are very angry sounding black metal screams and hen the music speeds up it brings in blast beats along with a more raw style of post black metal and the songs also bring in a great mixture of slow, mid paced and fast parts. Elements of metalcore can be heard quite a bit throughout the recording along with a touch of melodic death metal and the music can also get very technical at times and also brings in growls in some parts of the album and the music also gets very atmospheric at times along with a few tracks that are long and epic in length and some songs also bring in a small amount of clean singing vocals and spoken word parts as well as a brief use of screamo style vocals. Show Me Wolves plays a musical style that takes the progressive, post and atmospheric styles of black metal and mixes them in with a touch of death metal and metalcore to create a style of his own, the production sounds very powerful for being a self released recording while the lyrics over nature and philosophical themes. In my opinion Show me Wolves are a very great sounding mixture of progressive black metal and metalcore and if you are a fan of those musical genres, you should check out this solo project. RECOMMENDED TRACKS INCLUDE "Amongst Us" "Unknown Reflection" and "Beyond the Sun". 8 out of 10.